DigitalX will provide traditional corporate advisory services, as well as industry specific advisory services to Bankera. Blockchain solutions provider DigitalX Ltd (ASX:DCC) has just made a move towards further diversification of its offering. 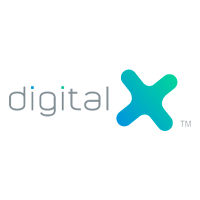 In an announcement filed with ASX earlier today, DigitalX said it had entered into an agreement with Bankera to provide it with consultancy services. DigitalX will act as an advisor to Bankera’s initial coin offering (ICO), which is a part of the implementation of Bankera’s plan to build a digital bank for the Blockchain era. DigitalX will be providing a range of industry specific and traditional corporate advisory services plus additional marketing services to Bankera in exchange for fees. Today’s announcement by DigitalX notes the exponential growth in the cryptocurrency market and the surge in ICOs. Although the company says that “these projects are bringing globally disruptive technology advancements to market”, there are regulators that are less upbeat and more careful about the matter. Less than a week ago, for instance, the Canadian Securities Administrators (CSA) published a Notice on Cryptocurrency Offerings, which outlines how securities law requirements may apply to initial coin offerings (ICOs), initial token offerings (ITOs), cryptocurrency investment funds and the cryptocurrency exchanges trading these products. Over the past several months, DigitalX has announced a number of partnerships. In April, for instance, it announced a partnership with professional software developer Lateral. The key goal of the collaboration is the creation of Blockchain and distributed ledger products for large enterprises in Australia and a number of regions in Asia. Then, of course, there is the strategic partnership with Blockchain Global unveiled in June, which saw Blockchain Global and associated investors agree to pump $4.35 million to acquire an interest of around 40% in DigitalX. Can home loans be approved in 22 minutes?